You are here: Home » News » Company News » Why was the company interviewed by PAPERWORLD? 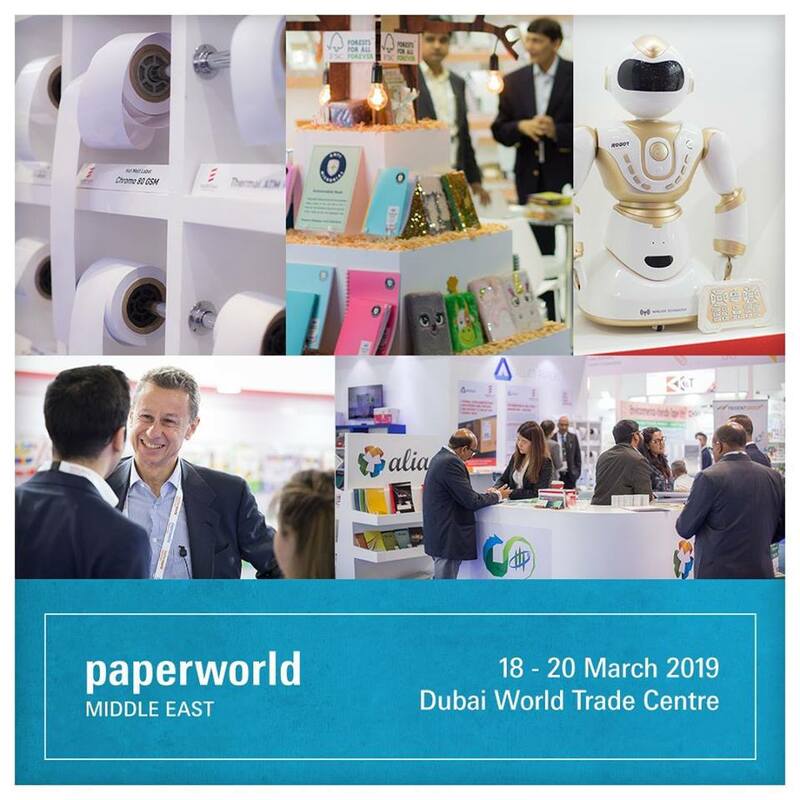 In 2019, PAPERWORLD Middle East was successfully held in Dubai world trade center.The exhibition attracted professional buyers from the united Arab emirates, Saudi Arabia, India, Kuwait, Iran and other countries. Dubai located in the crossroads of Asia, Europe and Africa, has made it the leading exporter and importer in the Middle East. And it is an international metropolis with a large population, advanced economy and many overseas enterprises. 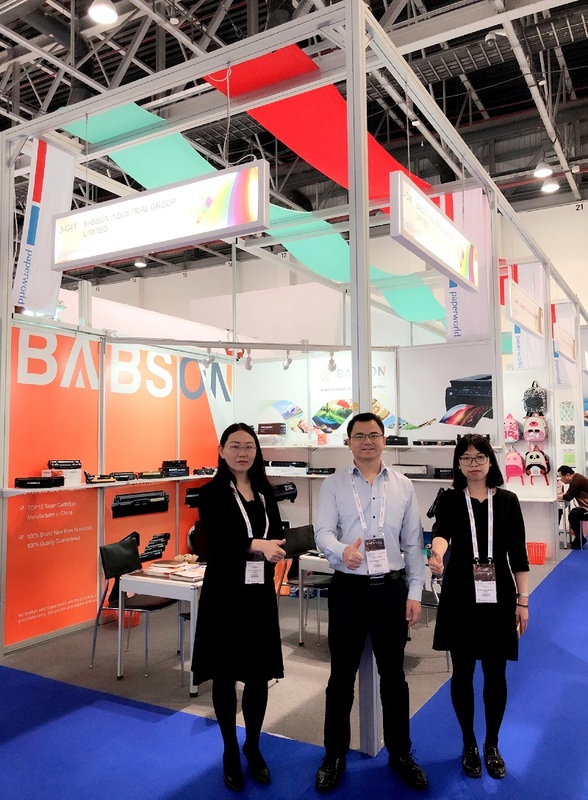 In the exhibition, foreign customers were very interested in our BABSON products, which attracted many customers stop to watch and consult. Many customers have encountered problems of poor supplier quality before, and they are worried about the Chinese suppliers. But after our introduction of sample testing, production process and quality inspection standards, they relieved and choose to believe us, asked for the quotation. BABSON serve every customer with high professionalism and responsibility, which made them feels our attitude and sincerity. Some customers even sign orders on the spot and pay a deposit. 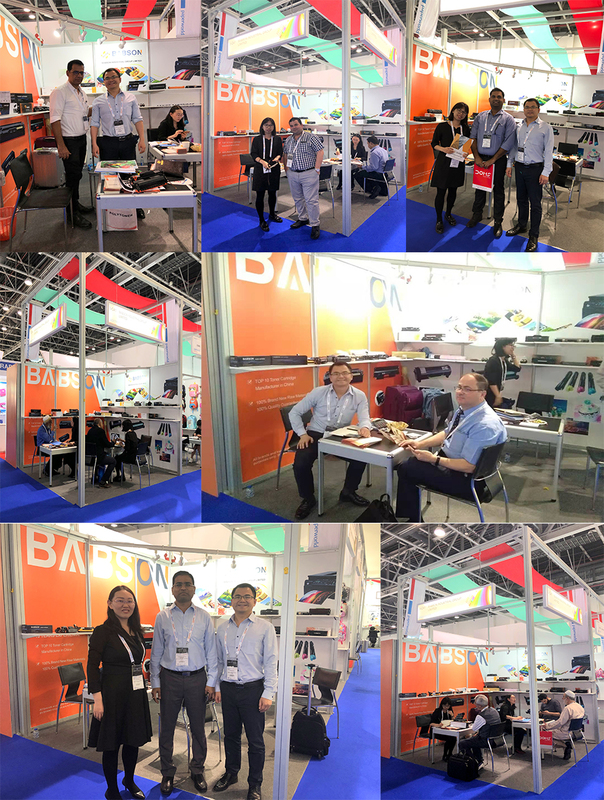 In this exhibition, we introduced our new products and hot products to our customers, make a name for ourselves in the Middle East market! 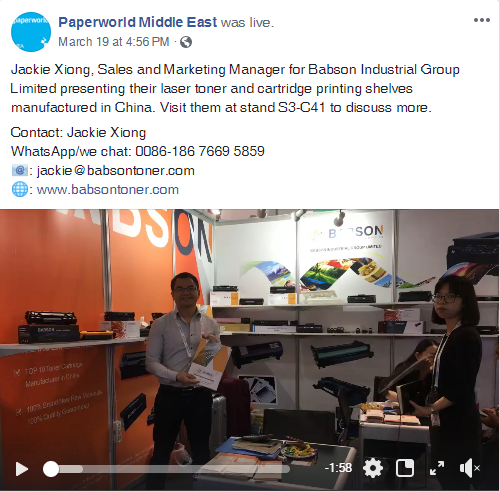 During this period, the reporter of PAPERWORLD came to our booth range an exclusive interview to our manager, we elaborated on the details of products, companies, etc. Our sales manager was responsible and sincere when he show products to customers. 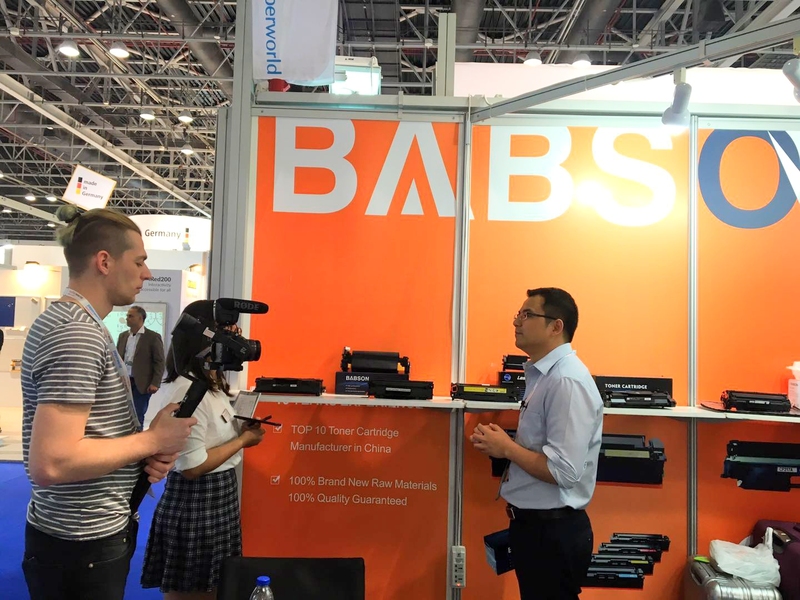 Babson has been engaged in the printing consumables industry for 16 years. In recent years, achieved good development in the Middle East, Europe and Africa markets, has a certain brand foundation. With high quality, reasonable price and the ability of market operation, we have occupied a decisive position in the printing consumables industry. Despite this, we still continue to improve quality and service for built up the BABSON brand faster.